We brought America the first adjustable temperature iron in 1929. Through the generations, we built upon this early success by finding out what consumers like and dislike about ironing. Whether what they’re telling us is an attainable goal or a long-term dream, we take the time to listen. The input we gather from consumers is weighed along with factors like technology and affordability to design irons that make this household chore more pleasant. 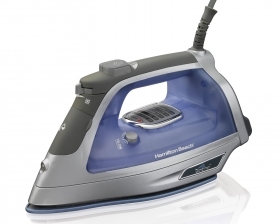 From crumpled laundry in the hamper to crisp, freshly ironed shirts that are ready to wear, Hamilton Beach is here to help make ironing — and everyday living — a whole lot easier.